Spare tyre protection with a wheel cover. Do spare wheel covers really protect the tyre? This is a common question that we get asked and it is not a completely straight forward answer. In short, a wheel cover will protect you tyre from UV rays and general grime that can deteriorate either the rubber or rim of a tyre. However, tyres are generally fairly hardy components and designed to hold up under fairly extreme situations. It can take a very long time for a tyre to even begin to show wear from UV and other exposure to weather. If your spare is being stored for a long period, without wheel rotation, a spare wheel cover will definitely be a good idea. If a tyre is not being used over a long period, the rubber can become less pliable and begin to crack or potentially fail when it is used. This can possibly take years to happen, but the last thing you need is a failed spare wheel when you need it. These days people tend to rotate tyres which ofcourse prevents or slows this process from happening. Generally the tyre will need replacing before it happens. Give your tyre a break! A cover is a good idea generally to provide a bit of UV protection for your spare. That way when you rotate your tyres, at least your spare will get out of the sun and weather for a bit. With fairly high cost of tyres today, particularly 4wd and caravan LT tyres an inexpensive cover will provide a bit of protection and enhance the overall look of your vehicle. I have spoken to many "hard-core" 4x4 enthusiasts over the years and the general opinion is that it is not worth NOT having a cover on. So do they protect or not? Yes, a spare wheel cover will give your tyre protection from the elements, both UV and general weather. The protection it provides is generally over a long period of time so it's hard to measure, but at least you can be assured that for the cost of an inexpensive cover it is getting some protection. Please contact us if you have any comments or ideas that we can include in this article. 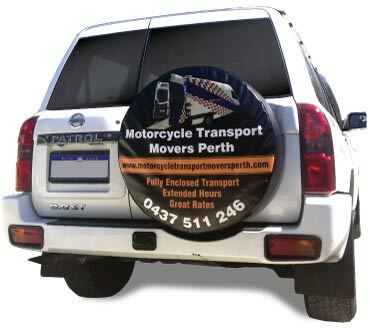 If you are simply after a cover for tyre protection we can offer custom sized plain spare wheel covers. We also have many stock designs or we can create a design for you.